as Janette Rallison she writes young adult romance stories; as C. J. Hill she writes young adult science fiction/fantasy stories; and as Sierra St. James she writes adult romantic stories. Bestselling author Jennifer L. Armentrout visits with local author C.J. Hill as they present the latest installments of their sci-fi and fantasy novels. In the fifth and final installment of the Lux series, Opposition, Katy knows the world changed the night the Luxen came. She can't believe Daemon stood by as his kind threatened to obliterate every last human and hybrid on Earth. But the lines between good and bad have blurred. Daemon will do anything to save those he loves, even if it means betrayal. But when it quickly becomes impossible to tell friend from foe, and the world is crumbling around them, they may lose everything to ensure the survival of their friends … and mankind. Echo in Time, the sequel to Erasing Time, tells the story of one decision, right or wrong, that could change everything. Pulled out of their lives with no way home to the past, identical twins Taylor and Sheridan have been grappling with the reality of life in a strange future. They escaped the government of Traventon, which brought them 400 years into the future with the Time Strainer, a device that is both a time machine and a weapon. The girls' ally in their escape was Joseph, who still mourns the loss of his own twin, Echo. But even in Santa Fe, where they found refuge after escaping Traventon, the threat of the Time Strainer's technology looms. ABOUT THE AUTHOR Jennifer L. Armentrout lives in West Virginia. When she's not hard at work writing, she spends her time reading, working out, watching zombie movies, and pretending to write. She shares her home with her husband, his K-9 partner named Diesel, and her hyper Jack Russell, Loki. Jennifer writes young adult contemporary, urban fantasy/paranormal, and romance. She also writes adult romance under the pen name J.Lynn. C.J. Hill is the pen name for Janette Rallison. She lives in Chandler, Arizona with her husband, five children and enough cats to classify her as “an eccentric cat lady.” She did not do this on purpose. (The cats, that is; she had the children on purpose.) Every single one of the felines showed up on its own and refuses to leave. Not even the family’s fearless little Westie dog can drive them off. 3PM SATURDAY, MARCH 15 Turning Pages | Teen Book Club C.J. Hill visits this month's Turning Pages meeting to discuss her sci-fi novel Erasing Time. Teens will also pick the book for May's upcoming meeting. 3PM SATURDAY, JANUARY 18 Turning Pages | Teen Book Club This month, teens meet to discuss Slayers & Slayers 2: Friends and Traitors by CJ Hill. 7PM TUESDAY, JANUARY 7 C.J. Hill: Echo in Time Local author C.J. Hill hosts a launch party for her teen fantasy novel Echo in Time, the sequel to Erasing Time. One decision, right or wrong, could change everything. Pulled out of their lives with no way home to the past, identical twins Taylor and Sheridan have been grappling with the reality of life in a strange future. They escaped the government of Traventon, which brought them 400 years into the future with the Time Strainer, a device that is both a time machine and a weapon. The girls' ally in their escape was Joseph, who still mourns the loss of his own twin, Echo. But even in Santa Fe, where they found refuge after escaping Traventon, the threat of the Time Strainer's technology looms. A team is selected to return to Traventon to destroy the dangerous machine, and Taylor and Joseph are its most valuable members. But their objectives may not entirely match their orders, and what they do before they destroy the weapon could change the past and have ramifications beyond even their own safety. In an exhilarating journey packed with action and romance, this sequel to Erasing Time explores the power of faith and loyalty, as well as the life-altering consequences of every choice we make. ABOUT THE AUTHOR C.J. Hill is the mother of twins. They aren't identical, but this doesn't mean she always calls them by the right name. In fact, she occasionally calls all her children by the wrong names (she has five) and has even been known to throw the dog's name into the mix. Laugh now, but you'll do the same thing when you have kids. If C.J. had a time machine and could visit another century, she would probably go to the Regency era instead of the future. According to all the novels she's read, the past was filled with a multitude of dashing lords and viscounts who were always on the lookout for damsels in distress, whereas the future is populated by scary dystopian societies. 7PM TUESDAY, OCTOBER 15 C.J. Hill: Friends & Traitors Local author C.J. Hill hosts a launch party for her teen fantasy novel Friends and Traitors, the sequel to Slayers. Tori thought she'd have one more summer to train as a dragon Slayer, but time has run out. The dragon eggs are hatching, and the Slayers are in trouble. In less than a year, the dragons will be fully grown and completely lethal. The Slayers are still not complete, and Tori is determined to track down Ryker—the mysterious missing Slayer. What Tori doesn't bargain for, however, is the surprising truth about her powers. How can Tori fight to save her friends when half of her is programmed to protect dragons? 7PM MONDAY, JULY 29 "Girls' Night Out" featuring Aprilynne Pike, Suzanne Young, and C.J. Hill ﻿Three sci-fi teen novels, one night! #1 New York Times bestseller Aprilynne Pike launches her new paranormal teen novel Earthbound with Suzanne Young (The Program) and C.J. Hill (Erasing Time). In Pike's Earthbound, Tavia Michaels is the sole survivor of the plane crash that killed her parents. When she sees strange visions, she discovers she's an Earthbound — someone with the ability to create matter out of nothing — and that she alone holds the key to stopping an evil society that manipulates global events for its own shadowy purposes. In Young's The Program, teen suicide is a worldwide epidemic. The only known cure is "The Program," a treatment in which painful memories are erased, a fate worse than death to seventeen-year-old Sloane who knows that it will steal memories of her dead brother and boyfriend. In Hill's Erasing Time, eighteen-year-old twins Taylor and Sheridan are pulled into the future and must find a way to stop the evil government from using the time machine again. 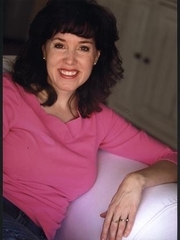 ABOUT THE AUTHORS Aprilynne Pike is the #1 New York Times bestselling author of the Wings series. She has been spinning stories since she was a child with a hyperactive imagination. When not writing, Aprilynne can usually be found out running; she also enjoys singing, acting, and (of course!) reading books about magic and kissing. Aprilynne lives in Arizona with her husband and four kids. Suzanne Young currently lives in Tempe, Arizona, where she drafts novels on restaurant napkins while eating chimichangas. After earning her degree in creative writing, Suzanne spent several years teaching middle school language arts. She is also the author of A Need So Beautiful. C.J. Hill is a pen name for Janette Rallison, who is best known for writing romantic comedies (Erasing Time is her nineteenth published book). She lives in Arizona with her five children, but is still in desert denial and hopes that one day her garden will grow silver bells and cockle shells or maybe just tomatoes. Mysterious Galaxy looks forward to seeing readers and authors Kelley Armstrong and Melissa Marr, Terry Brooks,Peter David, Delilah S. Dawson, Kevin Hearne, Leanna Renee Hieber, C.J. Hill, Gini Koch, Tom Leveen, Jeffrey J. Mariotte, Shannon Messenger, Mike Mignola, Alexandra Monir, Joseph Nassise, Kris Neri, James A. Owens, Aprilynne Pike, Cherie Priest, Melanie Rawn, Adam Rex, Marsheila Rockwell, Brandon Sanderson, John Scalzi, Janni Lee Simner, Shawn Speakman, Michael Stackpole, David Lee Summers, Sam Sykes, Greg van Eekhout, Suzanne Young, Timothy Zahn and more. Mysterious Galaxy will be in booth #2411. Please check the con's website for more information. 7PM TUESDAY, AUGUST 28 Teen Event | C.J. Hill: Erasing Time Join us for a launch party to celebrate the release of C.J. Hill's new teen sci-fi novel Erasing Time. When twins Sheridan and Taylor wake up 400 years in the future, they find a changed world: domed cities, mass extinction, and a language that barely sounds like English. And the worst news: they can't go back home. The twenty-fifth-century government transported the girls to their city hoping to find a famous scientist to help perfect a devastating new weapon—and got them instead. And somehow Taylor and Sheridan find themselves in the middle of the mob-like fights against the government. The only way to elude them all is to trust Echo, a guy with secrets of his own. The trio must put their faith in the unknown to make a harrowing escape into the wilds beyond the city. Janette Rallison is currently considered a "single author." If one or more works are by a distinct, homonymous authors, go ahead and split the author. Janette Rallison is composed of 7 names. You can examine and separate out names.